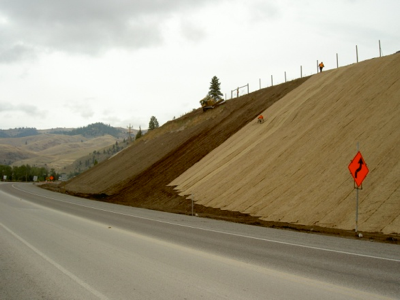 TD&H provided comprehensive road design as well as surveying & retaining wall design for a 5 mile segment of US Highway 93. 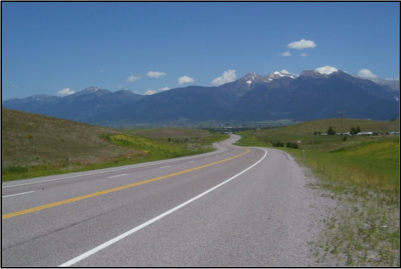 The project included realignment of the roadway to better fit the landscape, wildlife crossings, interpretive signing and improvements including curb & gutter, sidewalk, storm drain & lighting for the Town of Ravalli. 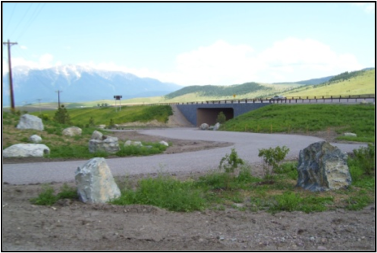 This MDT project included nearly 5 miles of rural reconstruction including rock cuts, wildlife crossings, retaining wall embankment fills, a rest area overpass structure. 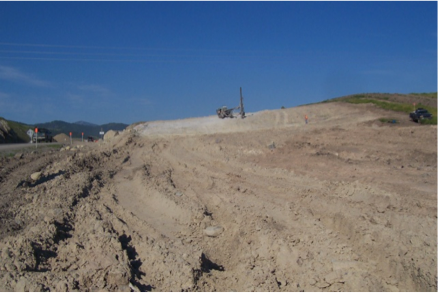 Geotechnical duties included numerous soil borings and rock coring, slope stability analyses, rock fall analysis and mitigation, foundation recommendations for the overpass, as well as earthwork and surfacing recommendations. This project also required an extensive borrow resource study to identify and pre-qualify potential borrow sources, which involved excavation of 105 test pits across nine sites, topographic surveys, and laboratory testing including soil index tests, R-values, L.A. Abrasions, Volume-Swell, moisture-density relationships, and soil corrosivity. The borrow pit report ranked sites for suitability as sources for fill, crushed base course, and plant mix surfacing aggregate based on quality, quantity, and haul distance.